This Sausage Egg Casserole is an easy, make ahead breakfast that can be cooked in the oven or instant pot! It’s healthy, hearty and reheats perfectly for busy weekdays! 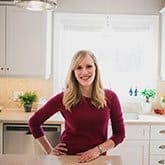 This post is sponsored by Egg Farmers of Canada and I have been compensated for my time spent creating this recipe. Thank you for supporting the people who support The Recipe Rebel! 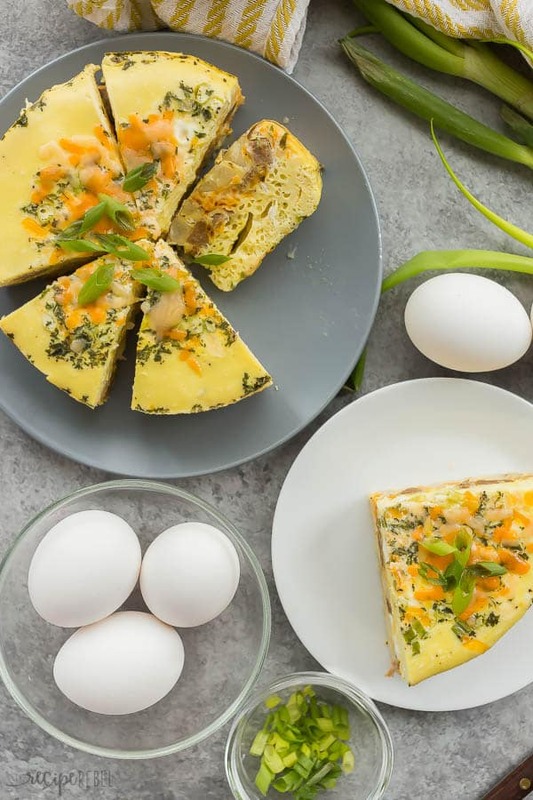 One dish meals like this Sausage Egg Casserole are perfect refrigerated or even frozen so you never have to be stuck with boxed cereal again (even when you slept in and the kids are all tugging on your pant legs for one reason or another — not that I know anything about that!). You can really use any breakfast sausage you like, but I prefer turkey breakfast sausage because it is leaner and still has great flavor. If you prefer pork, use pork. Or use bacon instead! You can prep the sausage ahead of time, but I don’t recommend mixing the ingredients and letting them sit overnight just because the hashbrowns may take on an unappetizing texture. You can still prepare the sausage and whisk together the egg mixture if you prefer. 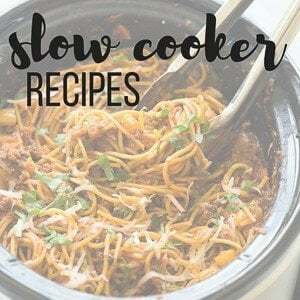 This casserole is great fresh out of the oven or at room temperature, so don’t worry if it is out of the oven a bit before your guests are ready for it. To make this an easy Instant Pot breakfast, you’ll need the right kind of pan, and that depends on which Instant Pot you have. 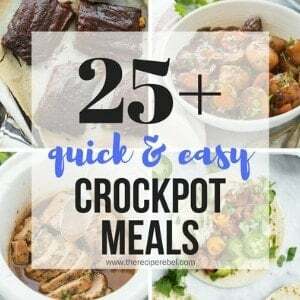 All of my recipes are tested in a 6 quart Instant Pot with bluetooth, and some require a different minimum amount of liquid. If you need to add more according to your manual, you go for it. I used a 1.7L glass Anchor Hocking round baking dish, and it worked perfectly! If you have a larger pressure cooker, you may be able to use a larger dish and reduce the bake time slightly. The texture of the eggs when pressure cooked is similar to the sous video eggs or egg bites that some people love. They are very smooth and moist. 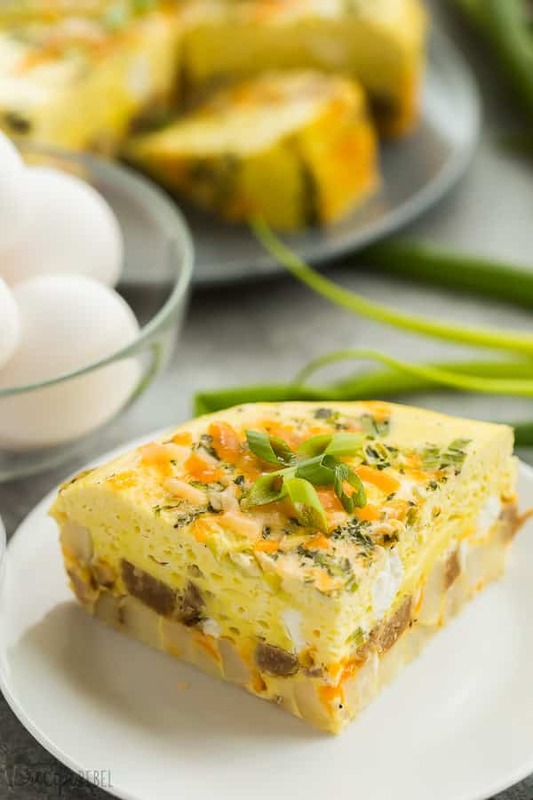 If you prefer the texture of a traditional breakfast casserole, feel free to bake this Sausage Egg Casserole in the oven instead. Because I wanted this recipe to be adaptable for the Instant Pot, it does make a smaller breakfast casserole than I normally would. I would choose a 9″ round pie plate or an 8″ square baking dish to bake in the oven. Bake at 350 degrees for 35-45 minutes, or until eggs are completely set (full instructions in the recipe card). If you prefer, you can double the recipe and bake in a 9×13″ baking dish to feed a crowd or to have enough leftovers for the rest of the week. This breakfast casserole is naturally gluten-free, but be sure to check all of your product packages to be sure. This Sausage Egg Casserole can be made vegetarian by omitting the sausage and adding in extra veggies. Feel free to mix things up by adding in your favorite veggies and cheeses to make your own combination! How are you celebrating World Egg Day? Today, I’m sharing this breakfast casserole in celebration of World Egg Day which is this Friday, October 12th. World Egg Day is a global celebration of the goodness of eggs. As if we needed another excuse to enjoy eggs for breakfast! They are low in calories, high in protein, and contain 14 essential vitamins and nutrients, including 50% of your recommended intake of vitamin B12 in just one egg. You can find out more about this amazing nutritional powerhouse and get more recipes on Eggs.ca. I love knowing that when I pick up eggs at the grocery store they’re from a local farmer — eggs are produced in every province so all the eggs you buy are local, and I know my local farmers put an incredible amount of thought and care into their hens to share eggs that are the highest quality. You could talk to any farmer, and know that it’s not just a job. It’s in the family, and something they take great pride in. How are you going to be enjoying your eggs this Friday?? We’d love to see what you’re making so be sure to include #WorldEggDay on all of your social posts! This Sausage Egg Casserole is an easy, make ahead breakfast that can be cooked in the oven or instant pot! It's healthy, hearty and reheats perfectly for busy weekdays! In a large bowl or glass measuring cup, whisk together eggs, milk, salt, parsley and pepper. Lightly grease a 1.7L glass baking dish (Instant Pot) or round pie plate (oven). Layer hashbrowns, sausages, green onion, and 1/4 cup cheese in the baking dish. Pour eggs over top. Sprinkle with remaining 1/4 cup cheese. Pour 1.5 cups water into Instant Pot. Cover baking dish with foil and place on the trivet in the Instant Pot. Put the lid on, turn to sealing, and select Manual or Pressure Cook for 35 minutes. It will take about 10 minutes to come to pressure. When the cook time is up, let pressure release naturally for 8-10 minutes, then open the valve and remove the lid. Remove the baking dish from the pressure cooker and serve. Bake for 35-45 minutes (cook time will vary depending on the size of your dish and the depth of the ingredients), until eggs are set right through the center. Serve. Everything in this casserole is breakfast perfection! 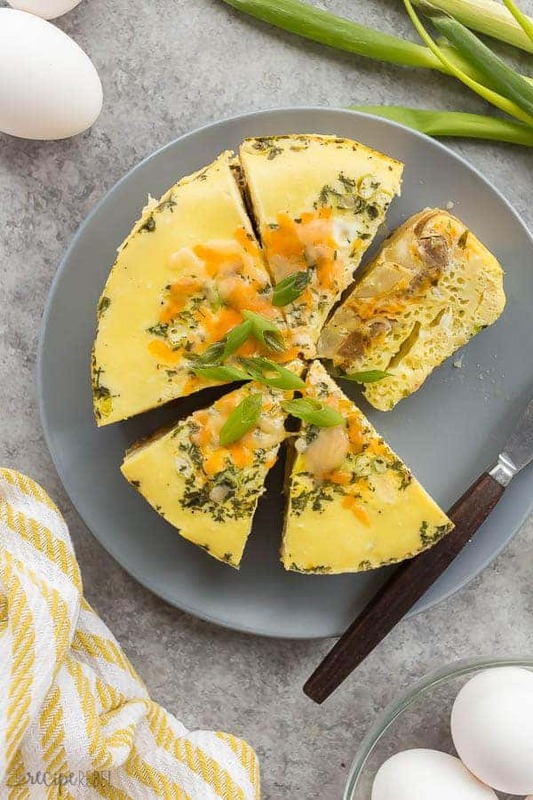 I’d love to try the Instant Pot version of this egg casserole. I bet my kids would love it! This looks yummy and so perfect for brunch! My family loves hearty breakfast casseroles like this! 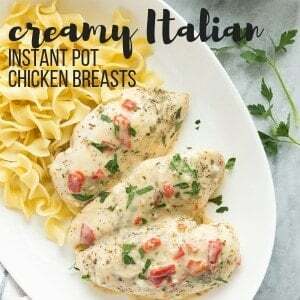 I love that your version can be made in the Instant Pot. So handy for holiday breakfasts when we have sweet rolls in the oven! This casserole is perfect for a holiday breakfast! So easy in the IP!